Graphic: of or relating to visual art examines the influence of the digital age on art. Whether through the changing of mediums, as in the prevalence of video art to document concepts, or in the use of new colors that appeared first on a computer screen, artists have responded to the social changes that currently surround us. A new language of shapes and palettes has entered into the artistic dictionary; though their relevance is debatable, their presence is permanent. 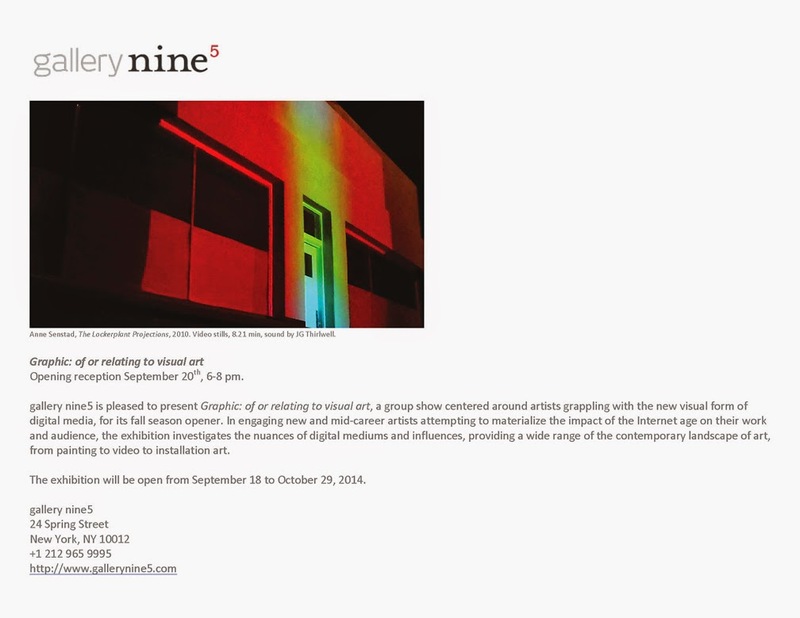 By presenting this presence without judgment, gallery nine5 continues to manifest its mission to accept and analyze art from all spectrums and angles.